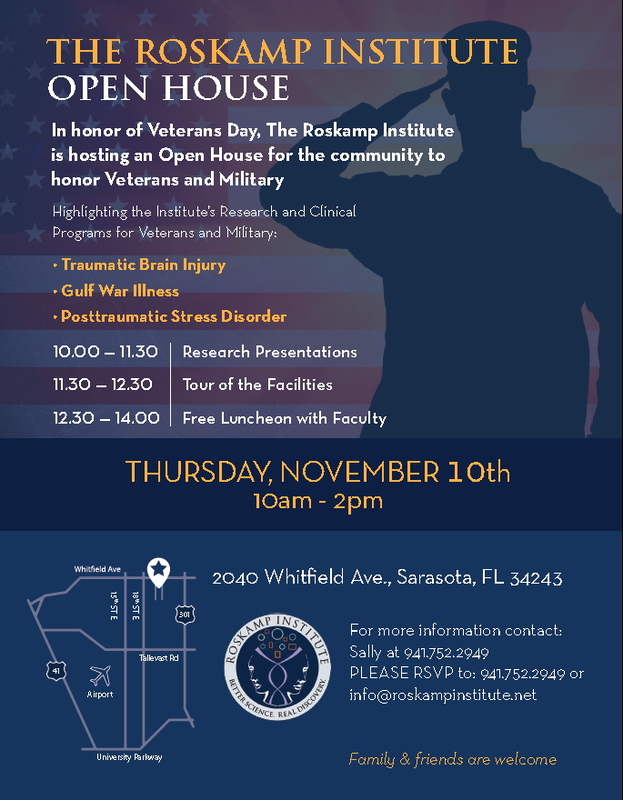 The Roskamp Institute will be hosting its annual Open House honoring veterans and military personnel on November 9th, 2017. The event, which is open to the public will run from 10 a.m. to 2 p.m., showcasing Institute research and clinical programs of particular relevance to veterans and military personnel, including Traumatic Brain Injury (TBI), Gulf War Illness (GWI) and Posttraumatic Stress Disorder (PTSD). A clinical application involves three key steps: 1) A genetic risk screening for the presence of specific mutations identified in gene-wide association (GWA) studies as playing a pathogenic role. 2) Detection of disease-associated abnormalities as early as possible (even preceding symptoms). 3) Prescription of explicit health-promoting interventions aimed at an individual’s molecular drivers of disease. 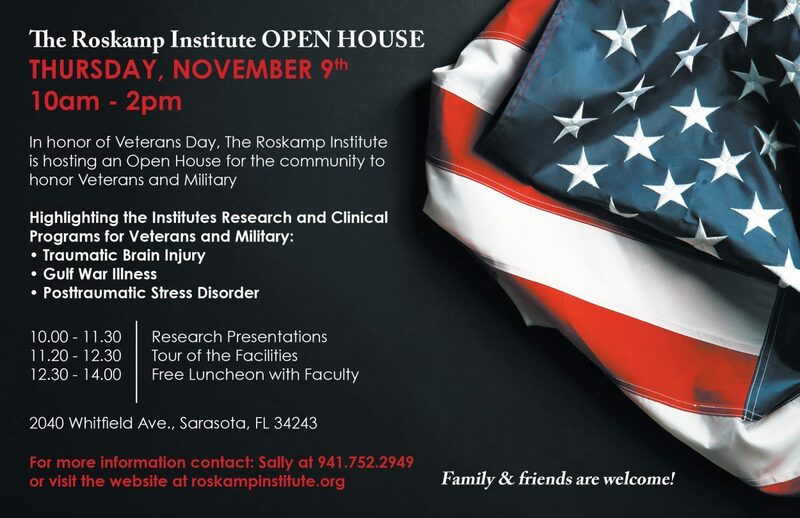 The Roskamp Institute will be hosting its annual Open House honoring veterans and military personnel on November 10. This event, which is open to the public, will run from 10 a.m. to 2 p.m showcasing Institute research and clinical programs of particular relevance to veterans and military personnel. Dr. Cheryl Brandi of the Roskamp Institute Clinic discusses signs of normal aging – and signs of potential concern – at Kobernick University on Tuesday afternoon. 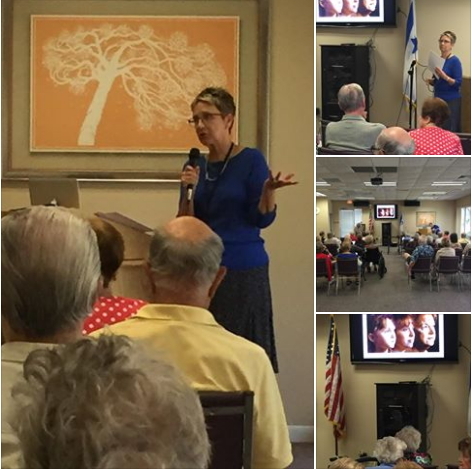 An article about an Alzheimer's Disease clinical trial, with one of the clinical study sites being at The Roskamp Institute, has been published by Herald-Tribune health reporter Barbara Peters Smith. It is titled: At Sarasota's Roskamp Institute, a new drug is on trial. 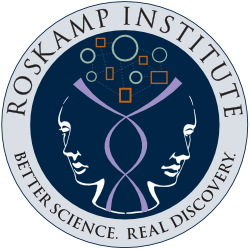 Roskamp Institute scientists' peer reviewed research papers have been published. A list and link is here.